This Subscriber Agreement is a contract under which we agree to provide and you agree to accept our Services. It is important that you carefully read ALL terms of this Agreement and any other Agreement you sign or accept. Definitions. "In this Agreement the following definitions apply:"
1.1. "we," "us," "our," "AwareGPS" and "Agilis" mean Agilis Systems, LLC. and its affiliates;"
1.2. "you," "your," "customer," and "user" mean an account holder or user with us;"
1.3. "Device" means any device, accessory or other product we sell, lease or finance to you or that is active on your account with us;"
1.4. "Service" means our offers, rate plans, options, or Devices on your account with us." 1.5. "Services" means our offers, plans, options, or Devices on account with us. The Subscription Agreement. This Subscriber Agreement, including Terms and Conditions of Service ("Agreement"), is a contract under which we agree to provide and you agree to accept our Services. In addition to these Terms and Conditions of Service ("Ts & Cs"), there may be other agreements including, but not limited to, the detailed plan or other information on Services we provide or refer you to during the sales transaction and any confirmation materials we may provide you. It is important that you carefully read ALL terms of this Agreement and any other agreement you sign or accept with us which is hereby incorporated into this Agreement. Services Covered By This Agreement & Additional Terms. This Agreement applies to our Services Plans and any other Service we offer you that references these Ts & Cs. Additional Terms and Conditions may be applicable in the event you added services beyond our Services Plans. Also, a different dispute resolution provision will likely apply for services provided by another company, although the dispute resolution provisions in this Agreement still apply to our Services. You will be provided details on any additional terms with your selection of any of our bundled Service. 12.1. Terms. All Devices and Accessories shall be covered under this warranty in accordance with the table below. Coverage begins from the date of purchase regardless of when the Device or Accessory is actually received and continues until the end of the Coverage Term or Termination of Services, whichever comes first. 12.2. Exclusions. The following are excluded from coverage under this warranty. 12.3. Transferability. This warranty extends only to the first consumer purchaser, and is not transferable. 12.4. Actions. AwareGPS, at its option, will at no charge repair, replace or refund the purchase price of any Products, Accessories or Software that does not conform to this warranty. We may use functionally equivalent reconditioned/refurbished/pre-owned or new Products, Accessories or parts. 12.6. Additional Limitations. THE REPAIR, REPLACEMENT, OR REFUND AS PROVIDED UNDER THIS EXPRESS LIMITED WARRANTY IS THE EXCLUSIVE REMEDY OF THE CONSUMER, AND IS PROVIDED IN LIEU OF ALL OTHER WARRANTIES, EXPRESS OF IMPLIED. AWAREGPS EXPRESSLY DISCLAIMS ANY IMPLIED WARRANTIES, INCLUDING WITHOUT LIMITATION THE IMPLIED WARRANTIES OF MERCHANTABILITY AND FITNESS FOR A PARTICULAR PURPOSE. IN NO EVENT SHALL AWAREGPS BE LIABLE, WHETHER IN CONTRACT OR TORT (INCLUDING NEGLIGENCE) FOR DAMAGES IN EXCESS OF THE PURCHASE PRICE OF THE PRODUCT, ACCESSORY OR SOFTWARE, OR FOR ANY INDIRECT, INCIDENTAL, SPECIAL OR CONSEQUENTIAL DAMAGES OF ANY KIND, OR LOSS OF REVENUE OR PROFITS, LOSS OF BUSINESS, LOSS OF INFORMATION OR DATA, SOFTWARE OR APPLICATIONS OR OTHER FINANCIAL LOSS ARISING OUT OF OR IN CONNECTION WITH THE ABILITY OR INABILITY TO USE THE PRODUCTS, ACCESSORIES OR SOFTWARE TO THE FULL EXTENT THESE DAMAGES MAY BE DISCLAIMED BY LAW. Some states and jurisdictions do not allow the limitation or exclusion of incidental or consequential damages, or limitation on the length of an implied warranty, so the above limitations or exclusions may not apply to you. 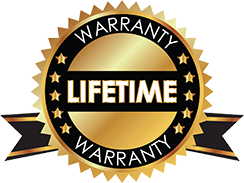 This warranty gives you specific legal rights, and you may also have other rights that vary from state to state or from one jurisdiction to another. No other use, including without limitation disassembly of such AwareGPS software or exercise of the exclusive rights reserved for AwareGPS, is permitted. Your Payments; Late Fees; Overages. Payment is due in full as stated on your bill. If we do not receive payment in full by the date specified on your bill, a late payment charge, which may be charged at the highest rate permissible by law, may be applied to the total unpaid balance. We may also charge you any costs, including attorney"s fees, we pay to a collection agency to collect unpaid balances from you. You may be charged additional fees for certain methods of payment. We may charge you, up to the highest amount permitted by law, for returned checks or other payments paid by you and denied for any reason by a financial institution. Acceptance of payments (even if marked "paid in full") does not waive our right to collect all amounts that you owe us. We may restrict your payment methods to cashier's check, money order, or any other reasonable method at any time at our sole discretion. Disputing Charges - You Must Still Pay Undisputed Charges. Any dispute to a charge on your bill must be made within 60 days of the date of the bill that initially contained the charge. Disputes can only be made by calling or writing us as directed on your invoice or elsewhere. AwareGPS will work with you to resolve disputed charges. AwareGPS may, at its sole discretion, adjust such disputed charges. You are responsible for payment of disputed charges that are judged to be resolved by AwareGPS, regardless of whether any adjustment is granted. You accept all charges not properly disputed within the above time period " undisputed charges must still be paid as stated on your bill. Mileage and Fuel Tax Reporting. Changes to the International Fuel Tax Agreement (IFTA) fuel and mileage tax and IRP reporting may require vehicle odometer readings in some or all jurisdictions. If you subscribe to the AwareGPS IFTA reporting package and your device does not automatically report odometer readings, you will need to manually enter your odometer reading at the beginning and end of each month or quarter after you have verified all the trip data has been entered for the specific date range. The odometer reading should be recorded before the start of your first trip and after the end of your last trip and entered in the Trip Report on your web portal. YOU AGREE OUR LIABILITY IS LIMITED " NO CONSEQUENTIAL DAMAGES. TO THE EXTENT ALLOWED BY LAW, OUR LIABILITY FOR MONETARY DAMAGES FOR ANY CLAIMS YOU MAY HAVE AGAINST US IS LIMITED TO NO MORE THAN THE PROPORTIONATE AMOUNT OF THE SERVICE CHARGES ATTRIBUTABLE TO THE AFFECTED PERIOD. UNDER NO CIRCUMSTANCES ARE WE LIABLE FOR ANY INCIDENTAL, CONSEQUENTIAL, PUNITIVE OR SPECIAL DAMAGES OF ANY NATURE WHATSOEVER ARISING OUT OF OR RELATED TO PROVIDING OR FAILING TO PROVIDE SERVICES IN CONNECTION WITH A DEVICE, INCLUDING, BUT NOT LIMITED TO, LOST PROFITS, LOSS OF BUSINESS, BODILY HARM, DEATH, EMOTIONAL DISTRESS, OR COST OF REPLACEMENT PRODUCTS AND SERVICES. 32.1. "Disputes" are any claims or controversies against each other related in any way to our Services or the Agreement including, but not limited to, coverage, Devices, privacy, or advertising, even if it arises after Services have terminated " this includes claims you bring against our employees, agents, affiliates or other representatives, or that we bring against you. 32.2. If either of us wants to arbitrate a dispute, we agree to send written notice to the other providing a description of the dispute, previous efforts to resolve the dispute, all supporting documents/information, and the proposed resolution. Notice to you will be sent to your address provided to us when you sign up for our service, and notice to us will be sent to: 16305 Swingley Ridge Road, Suite 100, St. Louis, MO 63017. We agree to make attempts to resolve the dispute. If we cannot resolve the dispute within forty-five (45) days of receipt of the notice to arbitrate, then we may submit the dispute to formal arbitration. 32.3. The FAA applies to this Agreement and arbitration provision. We each agree the FAA's provisions, not state law, govern all questions of whether a dispute is subject to arbitration. 32.4. Unless we each agree otherwise, the Arbitration will be conducted by a single neutral arbitrator and will take place in St. Louis County, Missouri. The federal or state law that applies to the Agreement will also apply during the arbitration. 32.5. We each agree not to pursue arbitration on a class-wide basis. We each agree that any arbitration will be solely between you and us and not brought on behalf of or together with another individual's claim. If for any reason any court or arbitrator holds that this restriction is unconscionable or unenforceable, then our agreement to arbitrate doesn't apply and the dispute must be brought in court. 32.6. We each are responsible for our respective costs relating to counsel, experts, and witnesses, as well as any other costs relating to the arbitration. Other Important Terms. Subject to federal law or unless the Agreement specifically provides otherwise, this Agreement is governed solely by the laws of the state of Missouri, without regard to the conflicts of law rules of that state. If either of us waives or does not enforce a requirement under this Agreement in an instance, we do not waive our right to later enforce that requirement. Except as the Agreement specifically provides otherwise, if any part of the Agreement is held invalid or unenforceable, the rest of this Agreement remains in full force and effect. This Agreement is not for the benefit of any third party except our corporate parents, affiliates, subsidiaries, agents, and predecessors and successors in interest. You may not assign the Agreement or any of your rights or duties under it. We may assign the Agreement. The Agreement and the documents it incorporates make up the entire agreement between us and replaces all prior written or spoken agreements " you cannot rely on any contradictory documents or statements by sales or service representatives. The rights, obligations and commitments in the Agreement that, by their nature, would logically continue beyond the termination of Services (including, but not limited to, those relating to billing, payment, dispute resolution, no class action, no jury trial), survive termination of Services.